Paris is full of incredible bakeries and the aroma that permeates the streets at nearly every street corner is truly incredible. My favorite bakery is Poilâne on rue Cherche-Midi in the 6th that sells the most delicious rustic bread you can imagine as well as some sweet pastries. The boulanger makes these amazing walnut-wheat rolls that are simply the best. 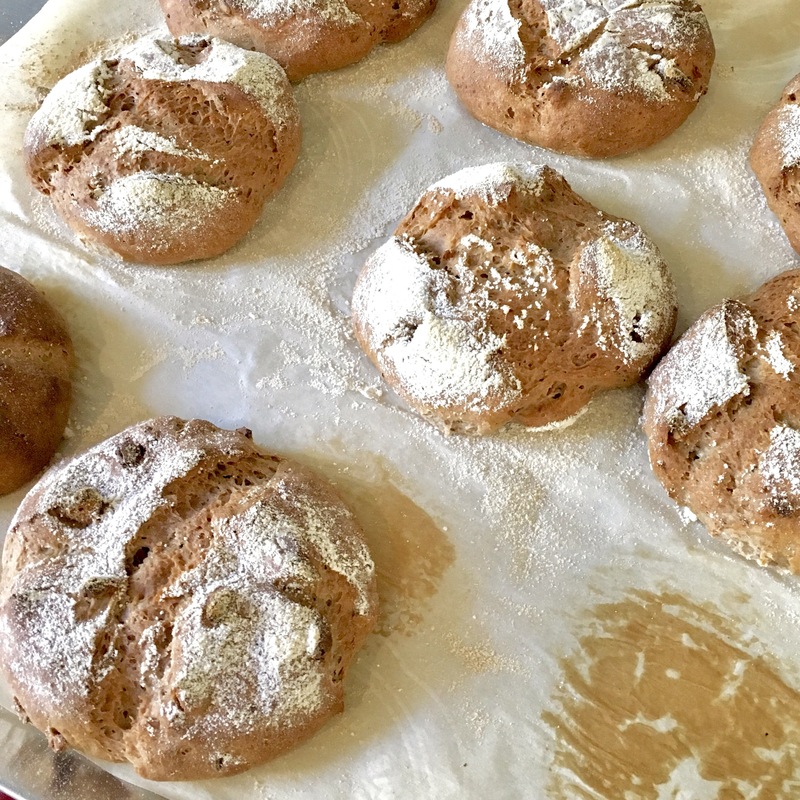 While this recipe does not perfectly imitate the rolls I love so much, they were easy to make, quite good and a very happy reminder of a this beautiful family owned boulangerie.